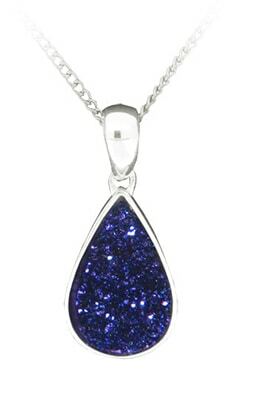 Really beautiful, vibrant, high quality jewellery, inlaid with purple glittering resin. The pendant measures 19mm x 12mm and the earrings 14mm x 9mm. 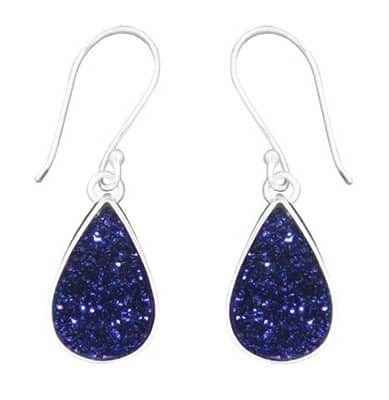 Earring hooks are sterling silver and the chain is 16 inches extendable to 18".